This year, my K-4 elementary school has been graciously granted a STEAM lab. Each month, teachers participate in teacher-led professional development related to STEAM, which we then take back to our classrooms and implement with our students in and out of our lab. This has quickly become a favorite place in our school that allows students to demonstrate grit through hands-on, inquiry-based learning. This is new for many of our teachers, and they are embracing it with a combination of enthusiasm (because they know it is great for students) and stress (because it is new, more work, and we are adding onto previously developed curriculum as we go). Our current achievable challenge is to pull together components of our existing curriculum to create these STEAM lessons so that STEAM is not an “extra”, but so it replaces portions of our traditional curriculum. Carefully crafting these lessons to address multiple standards at once not only solves the problem of time constraints, but it also makes learning more meaningful. The Basics: What is STEAM? A STEAM activity has inquiry at its roots. Students work through the Engineering Design Process to answer a driving question. Within the lesson, math, technology and science standards are woven together to create STEM. Pairing the STEM lesson with a naturally connected arts standard, it becomes STEAM. The art component is not an add-on; it changes the lesson to make something new. I love this quote from School Specialty’s article on Arts Integration, which also applies to STEAM: “The term integration means combining one thing with another to create a new whole.” These STEAM lessons are highly engaging and immerse students in authentic, connected, active learning, and they begin with aligning naturally connected standards. As with anything in its early stages of implementation, there are a few problems I have noticed. First, I’ve found that many educators use the acronyms STEM and STEAM interchangeably. Or, they refer to everything as STEAM, when it is actually STEM. Second, I’ve noticed that the idea of a STEAM lesson is an event instead of a mindset. Because we had the lab before any STEAM lessons, teachers went online to find activities to do during their “STEAM time”. We have a random assortment of STEM activities happening, some of which are called STEAM due to the design process that occurs during the activity. Some of the lessons connect to our current curriculum, and some do not. Some get watered down due to the high amount of prep time or lack of background knowledge (and lack of time to learn it) on the teacher’s part. With a little more professional development on STEM vs. STEAM and some curriculum revisions, I think these problems will resolve themselves. Do you have similar misconceptions? For a while, I was stuck on the acronym of STEM and STEAM. If we’re calling it STEM when the math is not equitable, for example, why should I get hung up on the arts not being present when someone is calling it STEAM? It finally sunk in that it is not about each of the subject areas being fully represented. STEM is the approach that includes those subject areas. It is a mindset, approach, and lesson structure that includes any of those subject areas. Adding an equitable arts standard makes it STEAM. 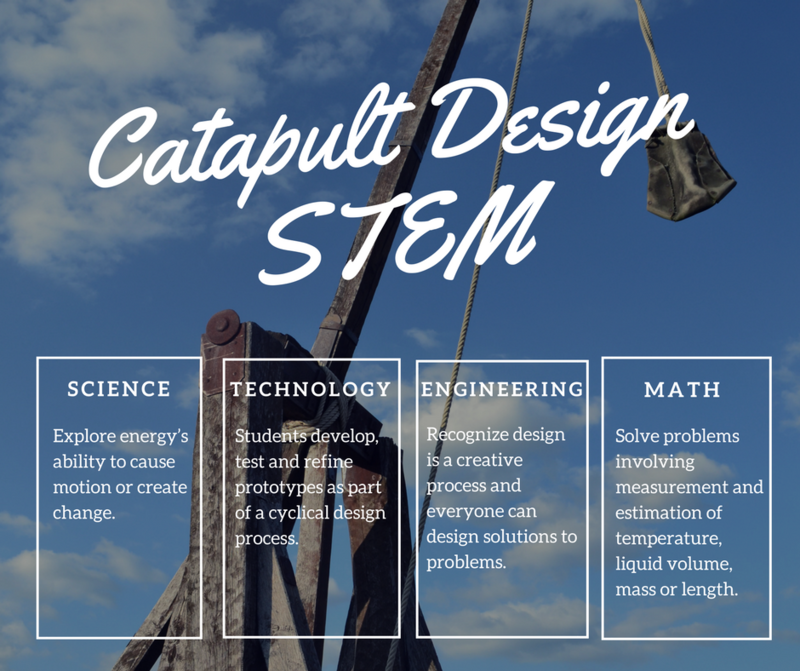 To help us better understand the difference between STEM and STEAM, let’s take a look at a basic catapult activity. 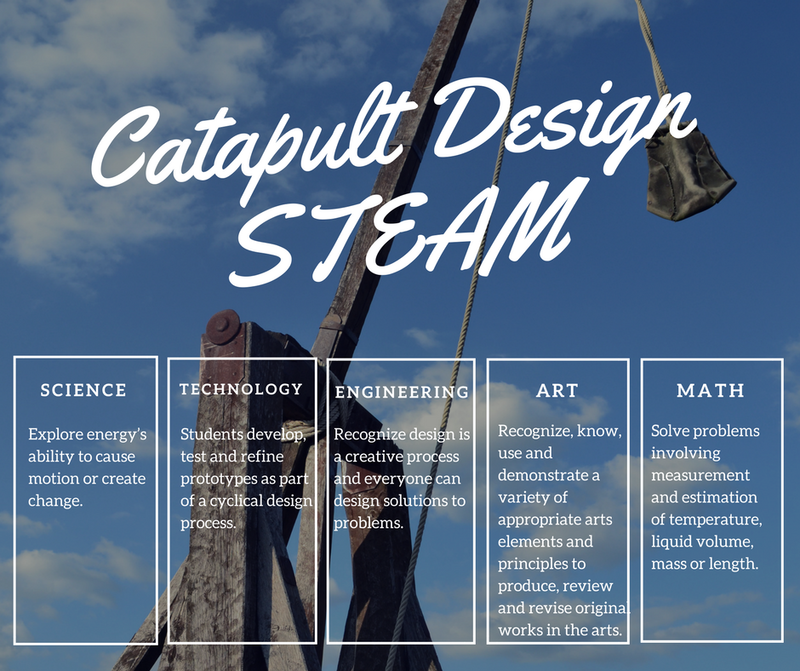 Now, take a look at how you could use the same basic catapult lesson and integrate the arts to make it STEAM. So are both of these challenges good? Yes! They both address multiple 21st Century skills. (Although, the effectiveness of both is dependent on how the teacher facilitates the challenge through questioning techniques.) While the design process is present in the STEM lesson and it integrates wonderfully with the design process in art, it technically falls under the engineering standard. Notice how adding equal emphasis on visual art changes the challenge to make it something new and more authentic. Are you ready to try it? Find more STEAM resources here. Want to learn more? Try EducationCloset’s online course, Designed to STEAM. Find a free ready-to-go lesson plan and student design challenge workbook below. Action Jackson Catapult STEAM Challenge- Free! Action Jackson Student Design Challenge Workbook – Free!